Grand Theft Auto continues to make a presence in mobile devices as Rockstar Games adds another title in the long list of games that’s available mobile devices, with the PSP-exclusive Grand Theft Auto: Liberty City Stories. Released on December 17th, gamers can finally explore the world of the PSP-exclusive, that was released back in 2005, in their mobile devices. Currently, GTA: Liberty City Stores is only available on iOS devices, but Rockstar Games promises that it will soon make its way to Android and Amazon Fire devices soon. Players will take control of Toni Cipriani, who returns to Liberty City to take over the streets from the warring families, who are vying for control of Liberty City. Expect the carnage and mayhem that usually comes with Grand Theft Auto in this port, as players try to take over Liberty City. The game is also optimized for iPhone 6s, iPhone 6s Plus, and iPad Pro with smooth 60 FPS, excellent graphics, and surprisingly responsive touch controls. GTA: Liberty City Stories is the fifth release on mobile devices from Rockstar Games, following GTA III, GTA: Vice City, GTA: San Andreas and GTA: Chinatown Wars. With the remastering and re-release of the older games, Grand Theft Auto is experiencing a new life on mobile devices as the games are quite fun to play on touch screen devices. Pick up Grand Theft Auto: Liberty City Stories for $6.99 on the App Store here. Android and Amazon Fire users will have to wait until Rockstar Games official release them. 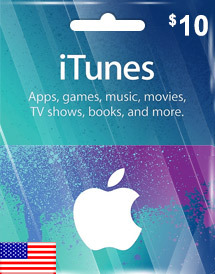 Need $10 iTunes Gift Cards? OffGamers has got you covered! Pick up your iTunes Gift Card at OffGamers to receive the codes instantaneously and grab Grand Theft Auto: Liberty City Stories for your iOS device! Looking for iTunes Gift Card?